Following the launch of the new Proton Perdana and Persona, next in line is the new Proton Saga. 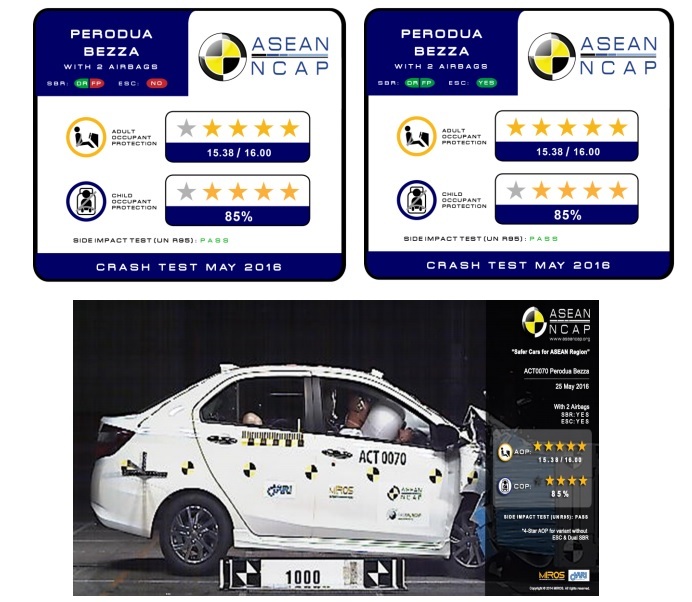 The Perodua Bezza contender will be launched in less than two weeks’ time, but it has already got off to a good start after receiving a 4-Star ASEAN NCAP crash safety rating. The new Proton Saga scored 13.33 out of a full 16.00 points in the Adult Occupant Protection (AOP) category. This is an improvement over its predecessor’s achievement (10.23 points, 3-Star rating) recorded in 2013. Child Occupant Protection (COP) is also decent in the new Saga, as it also received a 4-Star rating with a 71 percent compliance. The older Saga fared much worse in 2013, with a score of 48 percent or a 2-Star equivalent. As the image above shows, the Bezza scored the same (4-Star) for the non-ESC variant. However, the Bezza gets a full 5-Star on variants equipped with ESC. It’s quite likely that the new Saga will not be equipped with ESC, but this remains to be seen. Powering the Saga is a 1.3-litre four-cylinder engine with VVT, pushing out 94 hp (same powertrain as the Iriz). 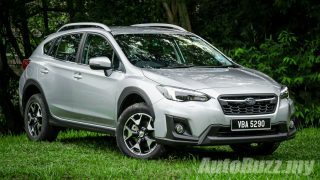 Expect both drivetrain options – the five-speed manual and CVT – to be featured as well.